Is Maine anti-gun group scrubbing video of Mills’ nominee Sauschuck ahead of hearing? Portland Police Chief Michael Sauschuck at a gun control event surrounded by other anti-gun activists and politicians. AUGUSTA – Governor Janet Mills’ nomination of former Portland Police Chief and gun control advocate Michael Sauschuck to head Maine’s Department of Public Safety, which includes the state police and other law enforcement departments, is probably the most controversial nomination she has made thus far. 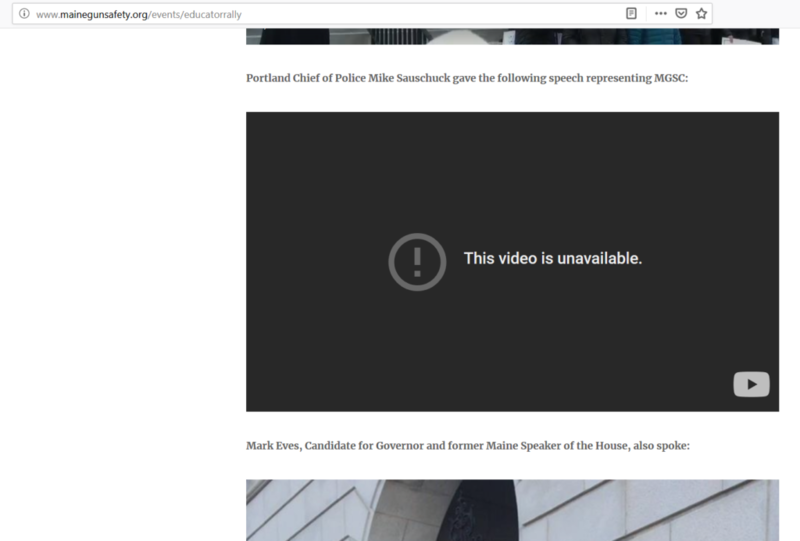 In the last few days the Maine Gun Safety Coalition, a group that also has ties to Bloomberg, appears to have scrubbed video of one of Sauschuck’s speeches from their website in advance of his February 1st confirmation hearing before the Maine Legislature’s Criminal Justice and Public Safety Committee. Gun rights activists have spoken loudly against Sauschuck’s nomination, pointing to previous statements and ties to anti-gun groups funded by NYC Mayor Michael Bloomberg as major causes for concern. If the Maine Gun Safety Coalition group is taking down video of Mr. Sauschuck speaking, it is likely an attempt to hide certain statements from public view before members of the Legislature have a chance to research and then publicly question him at his hearing. Already, several groups are rallying to oppose Sauschuck’s nomination, including the Gun Owners of Maine and the fledgling Free Maine Campaign, founded by former Maine State Senator Eric Brakey, which reports it has over 3,000 petition signatures from across Maine opposing Mr. Sauschuck’s nomination. “They clearly don’t want Maine people to see this video of Mike Sauschuck calling to ban many firearms and firearm accessories commonly-owned by Maine hunters and sportsmen, all while using his position in law enforcement to propagandize Portland high school students on gun control. Mr. Sauschuck will have a hearing before the Legislature’s Joint Standing Committee on Criminal Justice and Public Safety on February 1st. 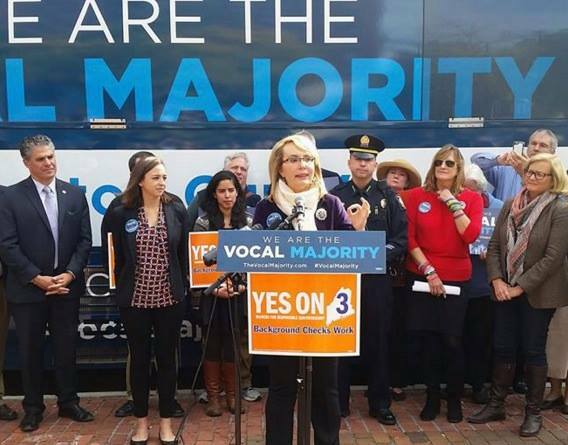 The Free Maine Campaign had previously saved the video of Sauschuck’s now scrubbed speech, which can be viewed below. Among other things, Sauschuck stated support of banning certain types of firearms during the speech.